Where is Nnamdi KANU? This is the story of a Man called Agaba Emmanuel from Benue state as he weeps over Fulani herdsmen’s killings in his state. Nnamdi KANU called Nigeria a zoo country and they said it is a hate speech but now the government seems to value cows reared by Fulani herdsmen more than citizens of the nation. How can a sane person or country kill people because of a cow? Many death has occurred in Benue state as a result of Fulani herdsmen agitation for land that is to be used for agriculture in order to help human beings be to be giving to cows and the president is calm over it. The Fulani herdsmen has killed over ten thousand Benue state residents and have destroyed properties worth billions of naira all in the national of converting farmlands to grazing lands for their cows and president Buhari who is also a Fulani is yet to proscribe them terrorists. Many Nigerians are not surprised for president is Fulani, IG of police is Fulani, DSS boss is Fulani, interior minister is Fulani, national security adviser Fulani so why do we expect these security agents to attack the lawless Fulani herdsmen. Nnamdi Kanu called the nation a zoo and every member of the nation kicked against him and the current predicament is that the nation seems to value animals than humans. The president Buhari is busy fighting for his brothers which are the Fulani’s to be allocated lands in other peoples states but the same president has not found or sponsored bills on how to rehabilitate the indigenes of the nation. 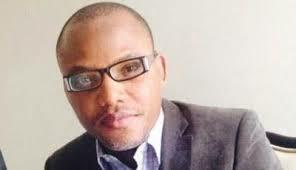 Where is Nnamdi KANU? Benue people laments as the Fulani’s are beaten them up. With the way things are happening in the nation, it seems Nnamdi KANU is correct to call the nation a zoo. What has Buhari done to the Fulani for almost three years in power so? The emergence of Kanu put fear in this nation which made most of the people to talk of restructuring of Nigeria but as Nnamdi Kanu is still missing, the issue of restructuring is dead. A nation that asking for your right is considered a crime, is that not a zoo nation? The Fulani herdsmen has beaten more than they can eat but the president is yet to act and this is an act of injustice and neglect in the part of this president. Did restructuring die with Nnamdi Kanu? Kanu talked about Islamisation of Nigeria but little or more deals of this government shows that it may or may not be possible that their is an agenda to Islamise the nation. Appointment attitudes of Buhari in this case shows it may be true that Islamisation of the nation is real since 75% of this government appointment are Muslims. Where is Nnamdi Kanu to take us to the pronise land?